Tamsin Cates joined the firm in January 2013. Her primary areas of practice are real estate development, conveyancing and mortgage financing, and general commercial law. She has experience in financing and master planning for mixed-use and resort developments, condominium developments, loan restructuring, and receivership sales. Ms. Cates also represents private clients in residential sales and acquisitions, and her corporate experience includes corporate financing and share sales and acquisitions. 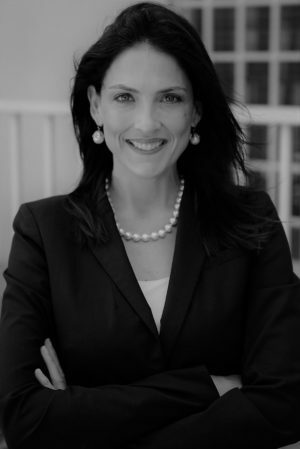 Ms. Cates received her Juris Doctor degree in 2005 from Nova Southeastern University, Florida. She obtained a Bachelor of Science in Business Administration in 1998 from the University of North Carolina at Chapel Hill. Ms. Cates was admitted to the Florida Bar in 2005. She obtained a Legal Education Certificate from the Eugene Dupuch Law School in Nassau, and was admitted to the Bar of the Commonwealth of The Bahamas in 2006. Ms. Cates is a member of the Bahamas Bar Association, and the Florida Bar Association.